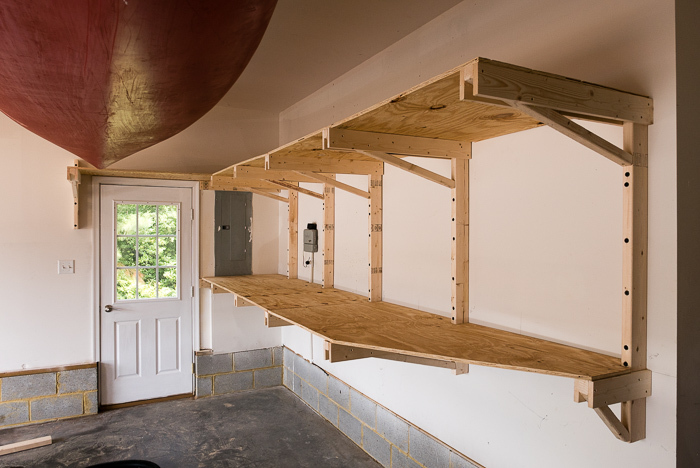 I spent all of Saturday and most of Sunday morning building some shelving in the garage. The long term plan is to get as much stuff into the garage as we can so that we can clear everything out of the room over the garage. That room will become a playroom for the girl and her friends. The shelves are a simple design. 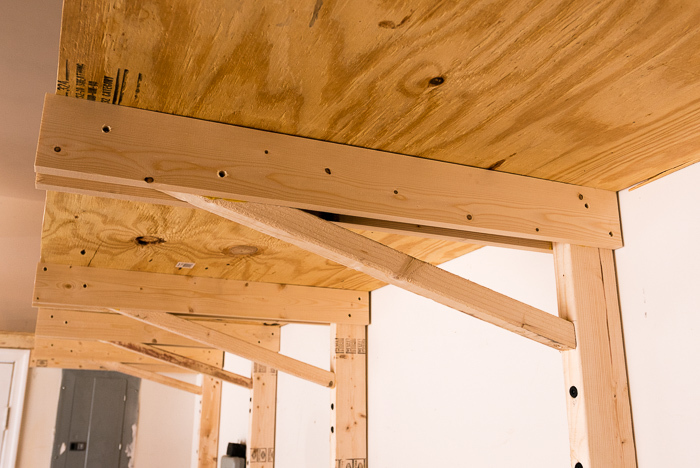 The supports are 1"x4" boards braced with 2"x2" boards, attached to 2"x4" studs. All of the joints in the supports are screwed and glued. It is hard to see it from the photos below but the braces are also screwed and glued where they meet the 2"x4". That assembly is then attached to the wall studs with 4.5" heavy duty screws. Finally plywood is cut to size and screwed down on top. This wasn't a terribly difficult project but that's because I had the right tools (thanks, Art) and plenty of clamping. I don't know how I ever got any projects done before I bought good clamps. The next project is going to be a new workbench. But money and time contraints mean it will be a while before I get started on that one.